With jungle juice, keg stands, beer bongs, bottomless brunches, 2,500+ breweries, and red Solo cups to its credit, the United States could teach a doctorate course in alcohol exceptionalism. However, the most powerful nation in the world isn't actually the booziest. 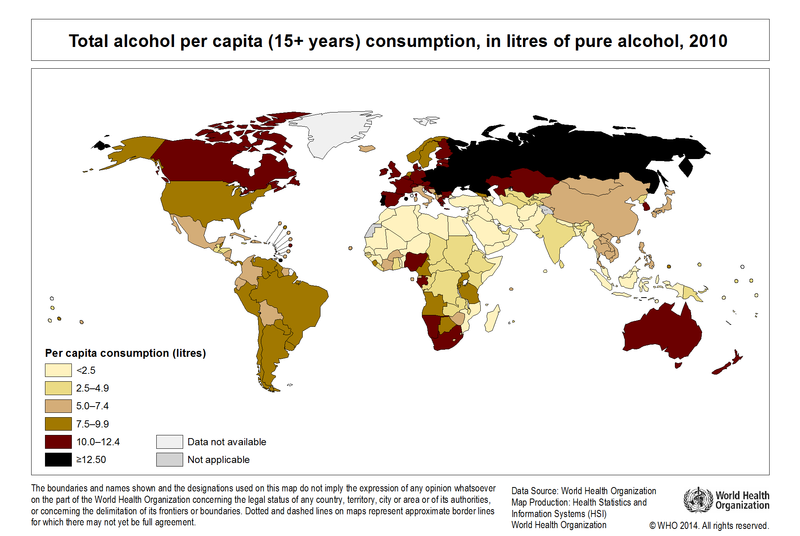 In fact, even Canada blows a higher BAC than the U-S of A. The booziest country in the world? That (dis)honor belongs to none other than Mother Russia and nearby neighbors. According to the World Health Organization’s alcohol consumption map, shown below, Russians, Ukrainians and Belarusians take part in the riskiest drinking patterns. Portugal, Grenada, and Andorra come next, with each nation drinking at least an average of 12.5 liters per adult (meaning someone over the age of 15). Australia's shade on the map seems off from what we know about Australians, but WHO includes a statistics stating 48 percent of those in this data are straight-edge and don't drink at all. Translation: The people who actually drink pound way more booze than the averages even suggest. 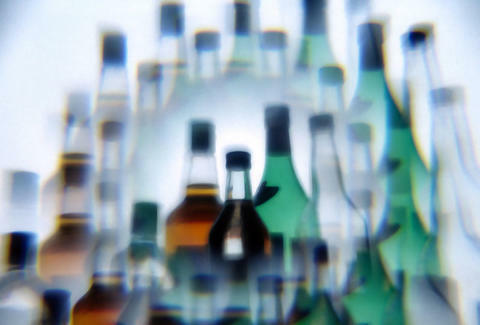 50.1 percent of all alcohol consumed in the world was in the form of spirits, because SHOTS! SHOTS! SHOTS! SHOTS! SHOTS! SHOTS! Only 8 percent was imbibed as wine, though, not surprisingly, a quarter of all vino was consumed in Europe, and probably a ton of that in France.